The visual elements of a brand play an important role in the success of any business. Strong Vancouver graphic design in implementing unique and captivating logos, typography, colours and symbols which allow consumers to differentiate your brand from the competition. Brand images should visually communicate your products or services to your target audience. Our experienced Art Directors have the ability to convey messages of professionalism and unity to consumers through imagery, thereby strengthening your brand’s identity. Our extensive client list includes all types of businesses, everything from Fortune 500 companies to local Mom and Pop Shops. Our designs can be seen on everything from restaurant menus to billboard campaigns throughout Vancouver, Lower Mainland BC, Canada and beyond. Our Vancouver graphic design specialists work under the same roof as our parent company Allegra, ensuring clear and open communication between team members and our clients. 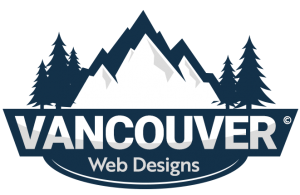 Call us today at tel:6048751919 to set up a free graphic design consultation.